Known by locals as CSD Berlin (Christopher Street Day), and by the rest of us as Gay Pride Berlin, offers one of the most eclectic pride celebrations in Europe. On Christopher Street Day, hundreds of thousands of people demonstrate for the rights of LGBT people with a great parade, colourful floats, and music. Events include shows, exhibitions, lectures, films, concerts and plenty of partying. 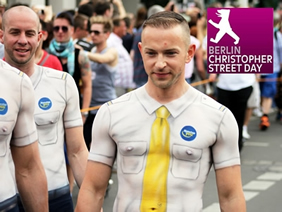 CSD Berlin is one of the biggest gay Prides in Europe, with hundreds of thousands participants each year. • In the late afternoon Meet & Greet with your LGBT Tour Leader at the hotel and exclusive aperitif in a LGBT Friendly location in Schöneberg districts, where you can find some great bars and cafés and the major hubs of the city’s gay scene. • Afterwards welcome dinner at a local brewery to taste typical German products. • Short morning walking tour to admire the spectacular city, full of history and mistery and a mecca for art, culture and fashion. • Starting point The Brandenburg Gate, one of Berlin’s most famous landmarks. It is built on the site of a former city gate that marked the start of the road from Berlin to the town of Brandenburg an der Havel. 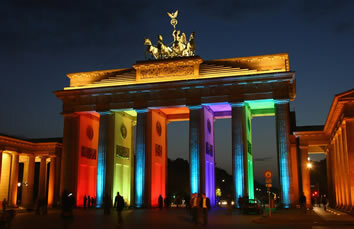 In modern times, it has become a symbol of unity and peace after the tearing down of the Berlin wall in 1990. • Watch the Reichstag building, a parliamentary building that still bears the scars of war and conflict. • Walk through historic avenues, filled with embassies, luxury shops, and élite restaurants. • Observe Berlin Cathedral and continue to the TV Tower and Alexander Platz. • In the afternoon be ready to celebrate! Get part of this amazing and peacefull battle for equal rights against any kind of discrimination. 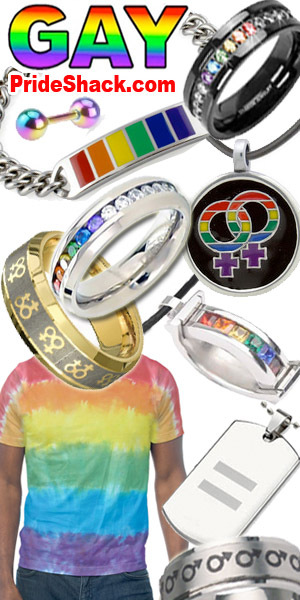 Rainbow Tips: Live the vibrant LGBT atmosphere in one of the many pubs like Connection, Die Busche and Kitkatclub.